It’s a big week for horror-script specialist Jeff Buhler: The new trailer for his PET SEMATARY remake dropped this morning, and tomorrow sees the release of his malevolent-child chiller THE PRODIGY. We chatted with Buhler about PRODIGY and another of his forthcoming reboots: the update of the 1990 classic JACOB’S LADDER. 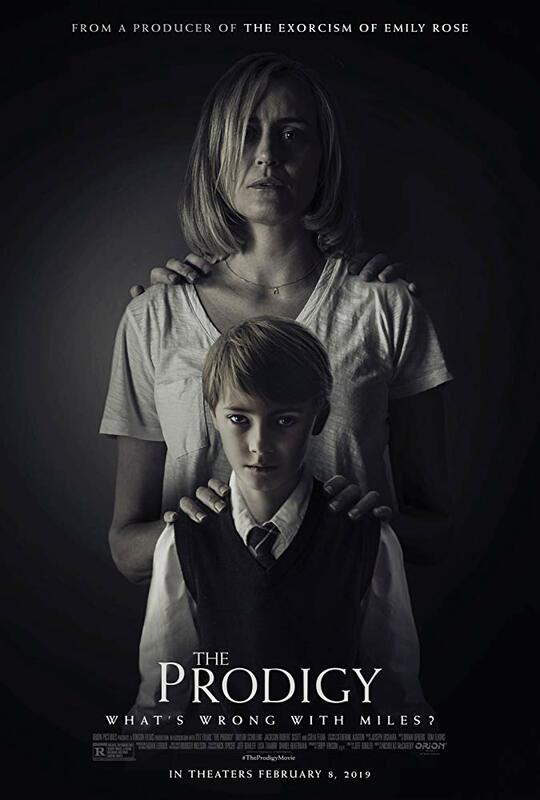 In THE PRODIGY, released by Orion Pictures, Taylor Schilling stars as Sarah, mother to Miles (IT’s Jackson Robert Scott), a little boy of exemplary intelligence. But he also has a dark side, expressed in nasty words and violent deeds, and the film follows Sarah as she struggles to reconcile love for her son with the realization that he is imbued with evil—and attempts to purge it from the boy. Directed by Nicholas McCarthy (AT THE DEVIL’S DOOR, THE PACT), THE PRODIGY was inspired by Buhler’s own experiences as a father. It is what Miles says when he’s awake that results in some of THE PRODIGY’s most striking moments, particularly when he talks back in most profane and hostile way to hypnotherapist Arthur Jacobson (Colm Feore). Buhler admits that when writing the screenplay, he didn’t consider what he was requiring a preteen actor to perform. “I was so in the world with Miles that I did not even ponder it. Then Nicholas came on board and said, ‘You know, we have to have some 8- or 9- or 10-year-old say this stuff,’ and I was like, ‘Oh my God, what have I done? What are the parents going to think?’ And he was very clever in how he approached it. For the most controversial dialogue, Jackson spoke similar lines that were less extreme, and then we did a bit of trickery with adult actresses who could mimic his voice. There are a few places where it steps across the line, and those were the ones we cherrypicked to save Jackson from being scarred [laughs]. In addition to its influential surprise ending, the original JACOB’S LADDER is also celebrated for the hallucinatory visions imagined by screenwriter Bruce Joel Rubin and brought to the screen by director Adrien Lyne. “I put in a ton of that” into the new movie, Buhler says, “and then I think in the final cut, there’s less of it. It’s pretty grounded, but there are definitely moments when the surreal stuff is there. We tried to lean into the practical approach that Adrien Lyne used, where his effects were almost all in-camera and done live on the set, and come up with stuff that would utilize those same techniques. Some of the classic images that you would expect in JACOB’S LADDER are in there, but then there are some different things. I don’t know if I would say it’s exactly the same amount, but we tried to come up with some big moments that felt like they had the same spirit as the first film. Keep your eyes on this site for further words from Buhler on his upcoming projects!